Dubai, September 24, 2018: The Hamdan Bin Mohammed Heritage Center (HHC) will have a unique pavilion featuring smart technology showcasing its various championships at the upcoming Abu Dhabi International Hunting and Equestrian Exhibition (ADIHEX) 2018, in line with the celebration of the Year of Zayed. ADIHEX, under the patronage of Sheikh Hamdan Bin Zayed Al Nahyan, Ruler's Representative in Dhafra, will run from September 25-29 this year at the Abu Dhabi National Exhibition Center (Adnec) Halls 12-5. “Our pavilion connects the past with the present via smart technology to deliver knowledge and our country’s culture to younger generations,” said Ms. Suad Ibrahim Darwish, Director of Championships at HHC. 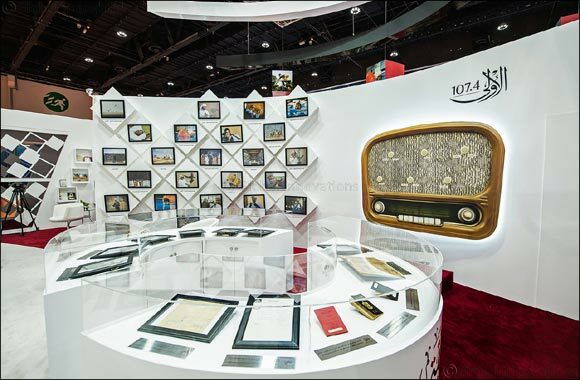 With a click of a button, using smart gadgets, the pavilion will display pictures and short films about the life of Sheikh Zayed in addition to the activities and events that narrate his humanitarian journey of strengthening the bonds of social cohesion and building the nation. Interactive screens will allow visitors to select a number of archive files to view the late Sheikh Zayed's journey through the short films produced exclusively by the Center. The HHC pavilion will also highlight its various championships and activities, including heritage sports such as Falconry, Saktoun rifle championship, diving, desert trekking, camping, hunting, and equestrian and other traditional outdoor activities. Visitors to the exhibition are encouraged to join the various competitions in the upcoming season. “The HHC has achieved unprecedented success in the past years at ADIHEX in spreading awareness about all heritage sports, events and activities that come with the direct support of His Highness the Crown Prince of Dubai,” Ms. Darwish noted. Like in the past years, HHC will offer exciting activities to visitors such as participating in Saktoun rifle shooting through a simulator. Winners and best shooter will receive valuable prizes and everyone is urged to compete in the upcoming 19th Fazza Open Championship for Shooting (Saktoun Rifle). HHC will also have a special competition for members of the UAE Media, who have been very supportive in spreading the awareness about the Center. Media professionals can in the daily competition for Saktoun Rifle shooting and valuable prizes await the winners. (Terms and conditions apply). Moreover, Al Oula Radio Network – through the Al Oula Radio will be broadcasting live programs and news from the venue. There will be special youth program and interactive youth sessions to talk about HHC tournaments and introduce the young people to UAE heritage sports.